As a software architect I must have a broad knowledge of several subjects so I can have several tools in my brain to create the better solutions with the right tools. I’ve read (and still reading!) a lot of books, so this post will show some of my last readings with some comment on each of the books. In future posts I will show other interesting books, sometimes not directly related with software but they gave me another way of thinking about systems, patterns and algorithms that helped me to be a better professional, as a technician and leader whenever necessary. Hope it can be helpful to your tech and soft improvement in the software industry. 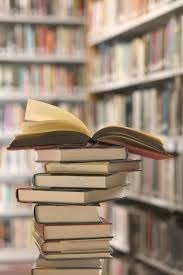 If you know others books you have read who can enrich my knowledge, I will appreciate your comment! How many methods you have in your classes with: Logging, transaction, validation, exception management? How about remove the code from those methods, write it in another class(es) and add just attributes (or java annotations) and surprise! Your code its so much cleaned! This book has improved the quality of my code, architecture and thinking about applications! Dependency Injection its about building great software architectures. Its about building software like a house, its about decoupling and loosely couple. Its about building testable software, its about software with quality. A great book about NoSql! Not too deep, but with the enough information to understand the NoSql world. Even with years in database systems I’ve learned new ways of thinking in this book. The reference for programming windows, now for windows 8. You can’t go wrong with this book. You want to know about SCRUM, agile and how it works, this is a very good book to start. Best book for android development. I know C, C# and C++. With this book from these guys, I added Objective C to the Cs languages list! Great book about iOS development. Starts from the basis and then develops some applications and of course your knowledge.